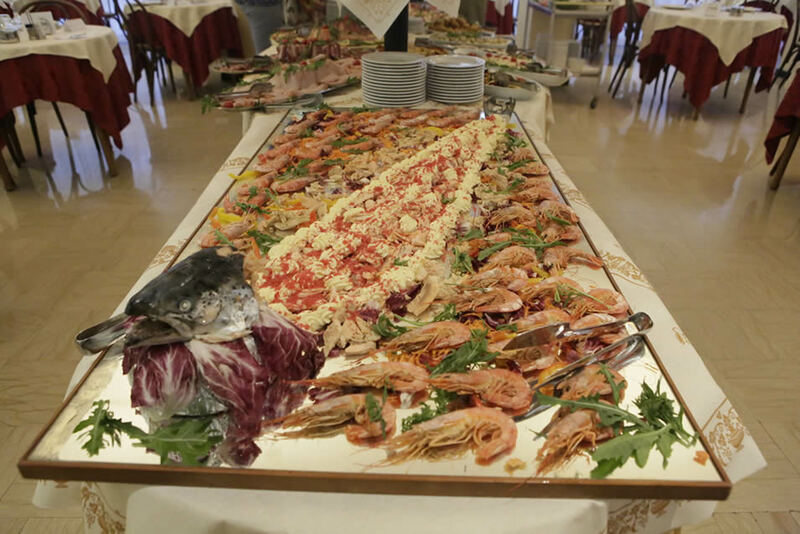 Eating well is a key ingredient of every vacation, especially in a land like Romagna where the gastronomic tradition is strong and with deep roots. 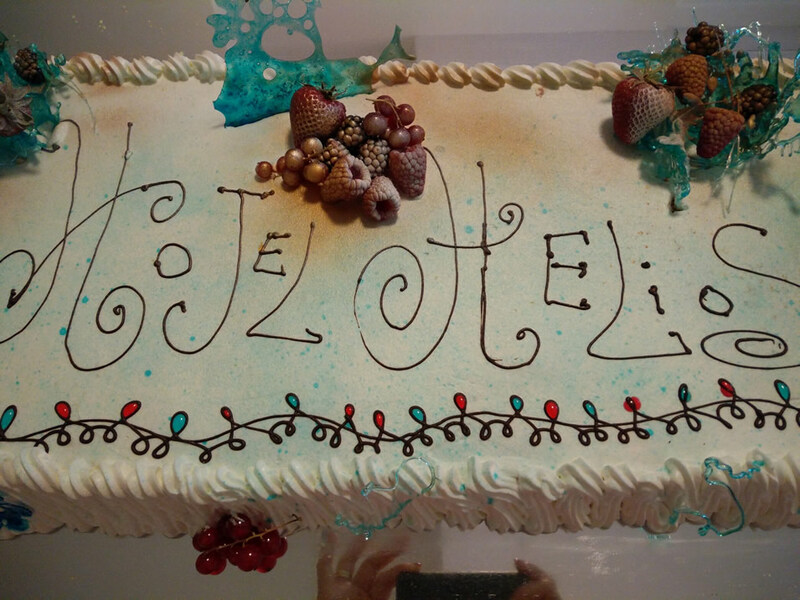 For this reason, at the Hotel Helios, we await you every day with the best specialities of Romagna, menu for children and many other attentions that will make you love our cuisine and allow you to enjoy fine meals. For the youngest in the weaning phase, our chef prepares customized menus at flexible times, vegetable purées and broths, fresh cheese. 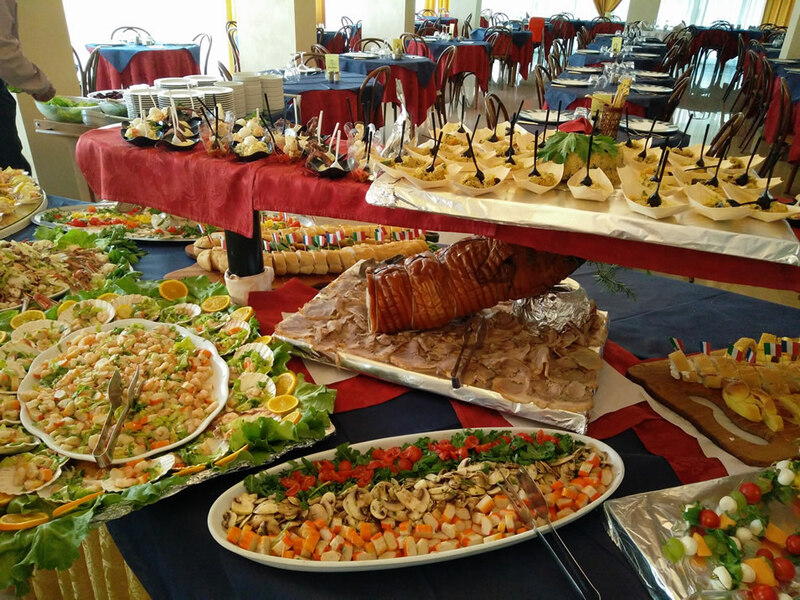 Every day at lunch and dinner you can choose between 4 types of menus, with alternatives of meat, fish, traditional dishes and vegetarian meals. 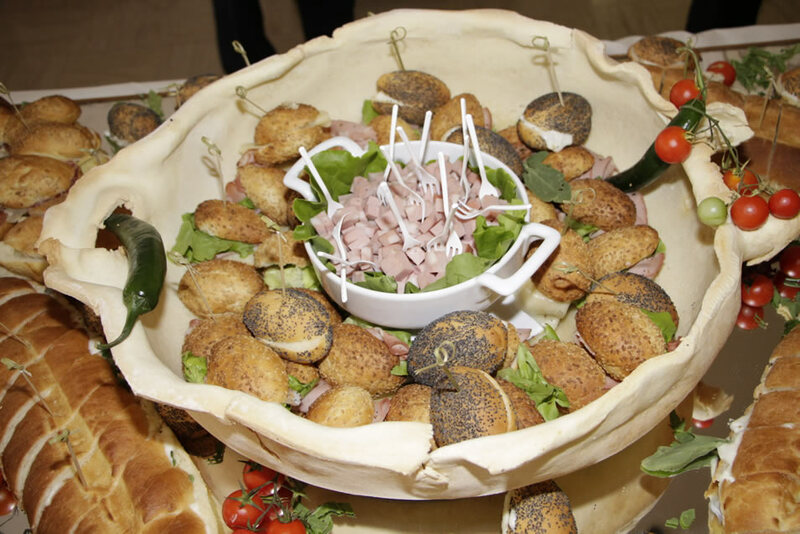 Everything always accompanied by hot and cold hors d'oeuvres, vegetables and gourmand buffet with homemade cakes, fresh fruit and desserts, for indulging in full freedom in an endless treat. 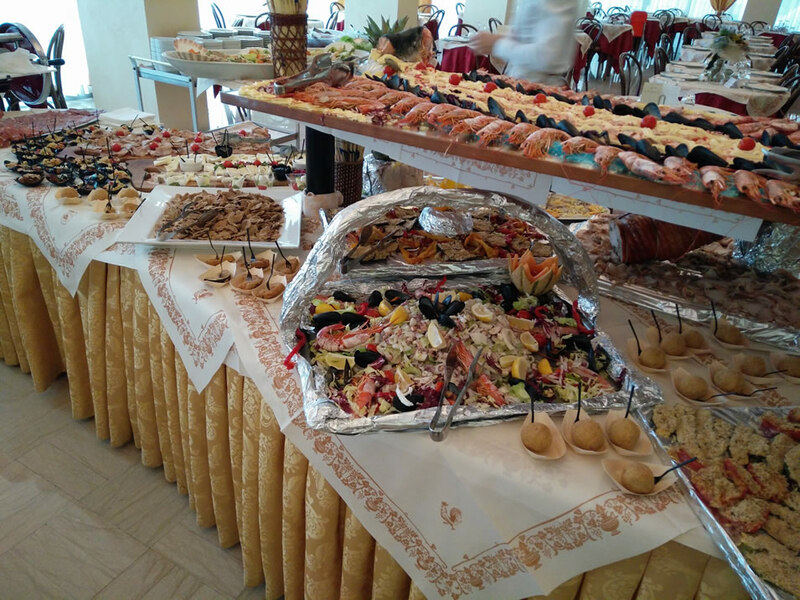 Without forgetting the themed dinners organized every week by our staff and the welcome drink (on Wednesday). 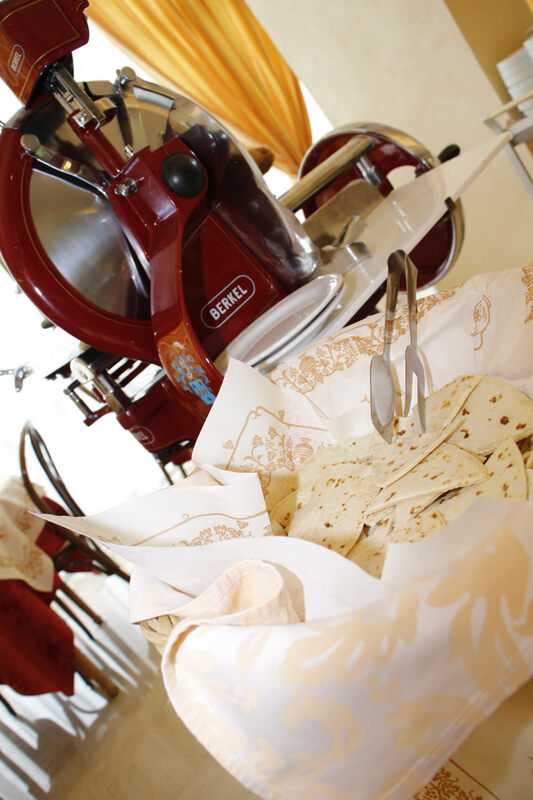 For breakfast, we await you with a sweet awakening: come to discover our rich buffet of homemade cakes, croissants, yoghurt, fresh and canned fruits, fruit juices and coffee, in addition to a salty corner with cold cuts and cheese. In addition, possibility of dietetic products, for intolerant and much more.